When regular dental x-rays aren’t sufficient, our dental implant dentist uses a 2D-3D cone beam scanner to take pictures of your teeth, gums, and jaws. A cone beam scanner even creates 3D dental imaging of your nerve pathways, which will be used by Dr. Yun to plan your treatment. Dr. Yun uses the information from the scan to determine the best places for implants based on bone quality. 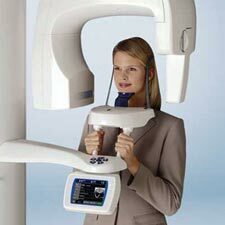 Digital dental x-rays expose you to 90% less radiation than their traditional film counterparts. Many of our patients appreciate that Dr. Yun uses the latest dental technology to reduce radiation exposure. Our dentist is also able to use digital x-rays to get a closer look at your teeth, gums, and jaws. Digital dental x-rays are sent to a computer screen where Dr. Yun can zoom in on areas of interest. Dr. Yun uses implant planning software so there are no surprises during the dental implant procedure. By using this software, our dentist will be able to determine the best places for implants based on the quality and density of bone in your jaw. It’s always Dr Yun’s goal to make sure you go home with a smile that looks and feels natural. With implant planning software, Dr. Yun is able to take 360 degree 3D images of your teeth, gums, and jaws so he can recommend the best treatment plan for your smile. Our dentist makes minimal incisions during dental implant surgery to decrease your recovery period and risk of infection. 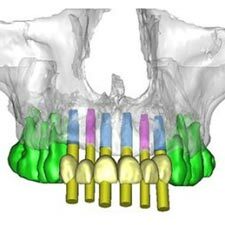 To accomplish this, Dr. Yun uses surgical guides so he knows exactly where to place dental implants. Surgical guides fit right over your teeth and gums so your dentist can precisely place implants. Our dentist uses a soft tissue laser to cut excess gum and uncover implants. 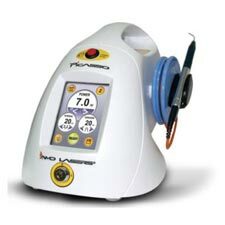 A dental laser cauterizes as it cuts to reduce bleeding and recovery time. Laser dentistry is painless, which means you most likely won’t need an injection of local anesthetic to manage pain. 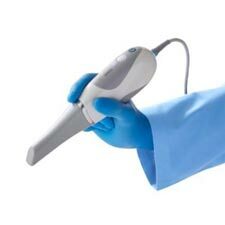 Dental laser treatment can also be used to treat periodontal disease by decontaminating infected gum tissue. 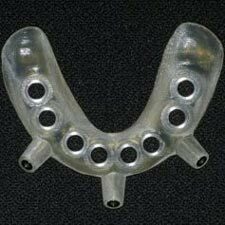 Unlike other dentists, Dr. Yun uses 3D CAD CAM software to make dental implants. By having our dentist design your implants, you can be sure that your new smile will complement your bite and facial features. It is always our goal to make sure you go home with dental implants that look and feel natural. It takes several months for a tooth implant to fuse with your jawbone in a process called osseointegration. Dr. Yun keeps track of your progress by using the Osstell device. 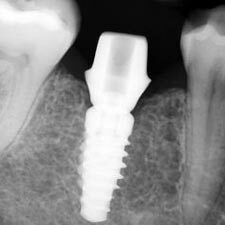 He’ll make sure your dental implant stays stable during osseointegration so you have the best outcome. Since the Osstell device is noninvasive, you don’t have to worry about disrupting the healing process. In the past, dentists had to press a tray of pink goop against the roof of your mouth to take dental impressions. While there are still dentists that use this old method, our dental implant dentist has moved onto more reliable technology. 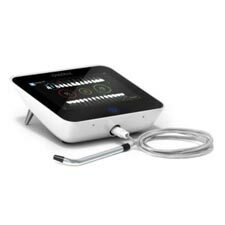 Dr. Yun uses an intraoral scanner to take accurate pictures of your mouth without testing your gag reflex. 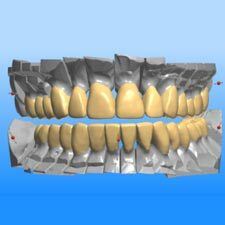 Digital impressions are also more accurate than traditional impressions so dental implants look and feel natural.